Massachusetts is slowly gaining momentum right now as a hotbed of great music, filled to the brim with new talent just waiting to blow up. Among this crowd of promising talents is an artist by the name of Maka. 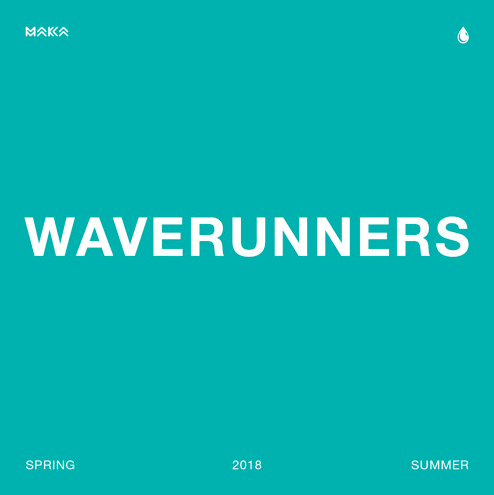 Making a well-deserved appearance on Lyrical Lemonade today, Maka is here to bring the warm weather to the spotlight with his brand new, self-produced single, “WaveRunners”, and you need to hear it. Taking to an airy, sun-soaked style of production to complement his deep vocals and bellowing deliveries, this song immediately finds itself riding along with the identity of an absolute summer anthem. Every aspect of the sound and style speaks to the relaxing, enjoyable nature of the season, and if there’s any indication as to just how to talented Maka truly is, this song is the proof. That being said, listen to “WaveRunners” at the link below and follow Maka on Twitter here!